Disregard what you have heard from other dealerships in Tarpon Springs; Karl Flammer Ford offers up the the top prices for any trade-in car, truck, or sport utility vehicle (SUV). Whether you are aiming to switch into a new Ford while you are still fighting to pay off your present automobile or you have an older automobile that is laying around around accumulating dust, you can take confidence in the fact that our trade-in associates will offer up their guidance and help you find the ideal price for your automobile. Want to dig into some additional information related to how the reputable auto professionals waiting for you at Karl Flammer Ford are completely reinventing the act of trading in your car and sailing past the competition in Tarpon Springs that still utilize inefficient methods? Then follow along as we cover precisely what goes into our outstanding take on trade-ins. When it comes to distinguishing ourselves from the the lesser automotive dealers located in Tarpon Springs, Karl Flammer Ford earns the top spot as the only provider of automotive services that puts your concerns above all else. 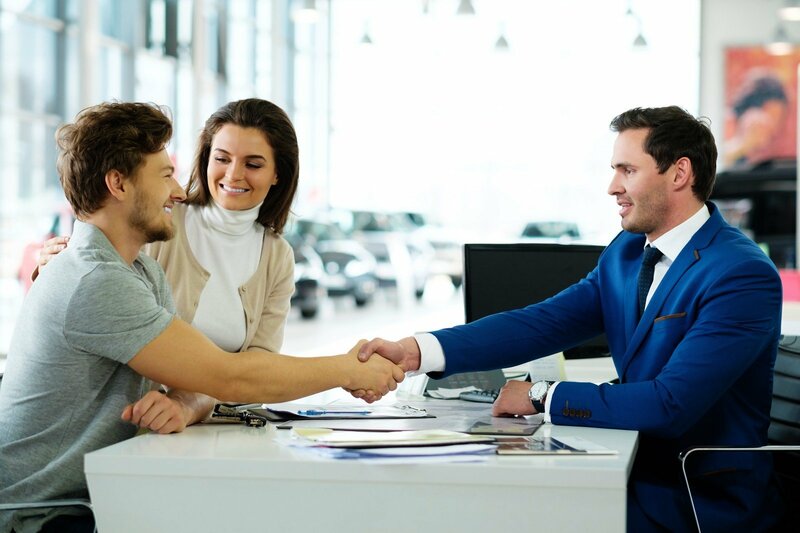 To drive home this idea, you should turn your focus to the way the individuals who comprise our trade-in team conduct themselves during the car trade-in inspection process. The Opportunity to Connect with the Best Review Staff in Town – Doing business with our friends in Tarpon Springs is a pleasure, so we always go out of our way to treat you with the exceptional service you expect. From seeing to any query that enters into the discussion to digging into any additional concerns, our friendly and inviting staffers are willing to do whatever is needed to ensure that you are beyond happy with our trade-in process. A Rock-Solid Top Value Guarantee – We understand completely that you need to get the top deal for your trade-in car, so we always provide you with the fairest and most agreeable valuations possible. If you think you might have stumbled upon a better deal on your car somewhere else, let us know and you can count on us to not only equal this offer, but also to do better by you. Kick Pushy Tactics and Pressure to the Curb – By asking for an appraisal of your car by Karl Flammer Ford, you can rest easy knowing that this event is completely devoid of stress. We never force our friends in Tarpon Springs into a hurried choice, so take all the time you require to review your potential paths and come to the decision that works for you and your family. While going beyond expectations in this manner is far from simple or easy, the group at Karl Flammer Ford accepts only this high standard. Your satisfaction is what motivates Karl Flammer Ford, so we have no problem going above and beyond in the pursuit of these soaring values. At this juncture, we need to take a moment and break down our lasting devotion to clear-cut operations during the act of having your car appraised. While certain players in the Tarpon Springs auto community might work with a substantial portion of smoke and mirrors as a means to keep you off balance and unsure, you can always count on the experts here at Karl Flammer Ford to toss out the misdirection and keep you abreast of what is going on during the appraisal process. Want even more insight into how we arrived at a decision on your trade-in or why we valued this vehicle the way we did? Then do not hesitate to ask us to provide you with even more information related to the ins and outs of this process. It will not take much time for you to understand that we are perfectly happy to offer up all of the background of this process as a way to keep you pleased and up to speed with everything that goes into this major financial choice. So just how does Karl Flammer Ford bring you the price that works for you when it comes to your trade-in vehicle? It all starts with a dedication to doing right by our respected customers. Instead of angling to take advantage of our massive amount of experience within the automotive industry, we aim to focus on fair methods that stand up to analysis and review from all parties involved. Why we embrace this honest method is easy to summarize. While tricking an unsuspecting visitor might bring in a moderately better deal now, being honest with you and the rest of our friends in Tarpon Springs ensures that you take part in a fulfilling experience and come back to us the next time you decide to trade in your used automobile. In far simpler terms, doing things right at the onset is the most efficient path toward a meaningful bond with our respected customers. As far as which vehicles we will consider within our appraisal process, the answer is fairly uncomplicated: Karl Flammer Ford is happy to examine any car, regardless of state, age, manufacturer, and model. Even though other automotive organizations may levy rigorous restrictions or rules on what falls within the range of an suitable trade-in, our trade-in staff is eager and amenable to review virtually any automobile. Even cars, trucks, and SUVs in poor condition or in need of some work are definitely in the domain of what we are willing to examine. The only catch? We ask that you bring to light any complications or concerns pertaining to this car's past during the appraisal process. By giving us a hand on this front, the Karl Flammer Ford group of professionals will have the insight we require to make sure that we present to you the finest offer available on your trade-in car. What Is the Next Piece of the Process? Are you interested in making use of Karl Flammer Ford's exceptional method of handling trade-ins today? Then go ahead and take a look at the simple trade-in form found on this page. Once you have looked over this form and sent along all of the pertinent info, our certified appraisal staffers will get to work on bringing to you the fairest trade-in price for your automobile in Tarpon Springs.